New Q&A Video Series Join us on Facebook to check it out! Timberdoodle began in 1985, when Dan and Deb realized that the homeschool supplies Deb used with their 3 daughters, ages 1, 2, and 3, were in great demand. They soon discovered that if she purchased products in case quantities, she could resell the excess to fellow homeschoolers and save them money off of retail. This began the Timberdoodle tradition of searching out the best homeschool supplies and selling them at discounted prices. Timberdoodle's homeschool philosophy is to use your school time to focus on teaching your children how to learn. Teach them reading, math, and thinking skills, and they will be well on their way to being a huge blessing to their community. Yes, there is a lot more to learn: Latin, art, music, science, foreign languages, history, writing, grammar, geography... and we encourage you to do as much of that as you enjoy and your time and budget allow. 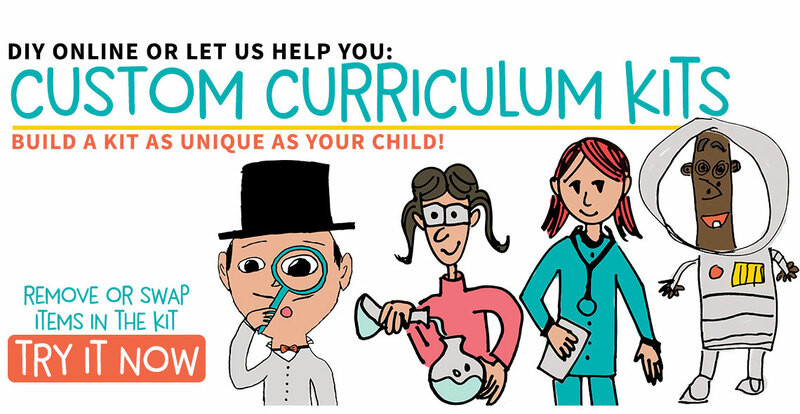 Homeschooling high school, Homeschooling Language Arts, Homeschooling Math, Graphic Novels, Hands-on Games, What's my kid's learning style?, How do I pick the right curriculum?, What history program do you recommend?, Can I homeschool my baby?